Junak – Czech Scouting is, with its more than 57,000 members, the largest civic organization for children and youth in the Czech Republic. Junak is a member of the World Organization of the Scout Movement (WOSM) and of the World Association of Girl Guides and Girl Scouts (WAGGGS) and operates in accordance with their missions, principles and methods. It is also a member of the organization of adult Scouts and Guides called the International Scout and Guide Fellowship (ISGF). The Czech Scout movement was founded in 1911 and thus we were happy to celebrate our centenary in 2011/2012. There is more than three thousand Boy & Girl Scouts in Brno and our ranks are constantly growing. While these numbers are important to us, the environment of Scouting in Brno is equally important. We are constantly trying to improve its quality in all respects – from purchasing campgrounds, ensuring the availability of courses and qualification and other support we´re trying to offer to our volunteers. Scouts from Brno are lucky to have an amazing base: Kapraluv mlyn Scout Environmental Education Centre. Its mission is to enable first-hand experience of children and youth with the natural world. Surroundings of Kapraluv mlyn is unique, that´s why the centre offers programs in Czech and English for schools and youth groups, but it also hosted several important international scout meetings (e.g. 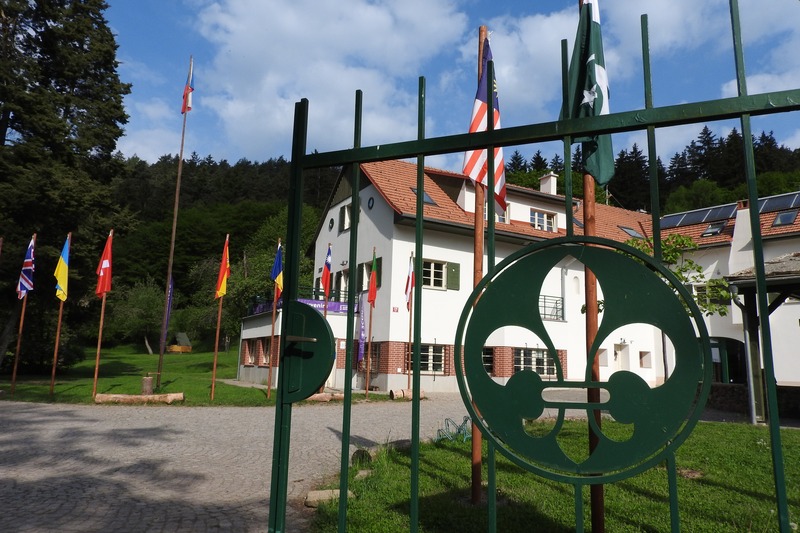 World Scout Seminar on Environment Education, co-organized by WOSM). Thanks to EU structural funds support the centre underwent complete reconstruction in 2011-12 leading to a model eco-friendly building (low-energy construction standard, solar panels, heat pump, recuperation of wastewater and air). Kapraluv mlyn is also labeled as Scout Centre of Excellence for Nature and Environment (SCENES). In the autumn 2013 Kapraluv Mlyn started hosting EVS volunteers with the aim of creating a stable environmental volunteer centre. To learn more about Kapraluv Mlyn visit its website.